A day after longtime state Assemblyman David Wolfe announced he would retire at the end of his current term, a field of Republican contenders from Brick is already emerging as frontrunners for the seat. 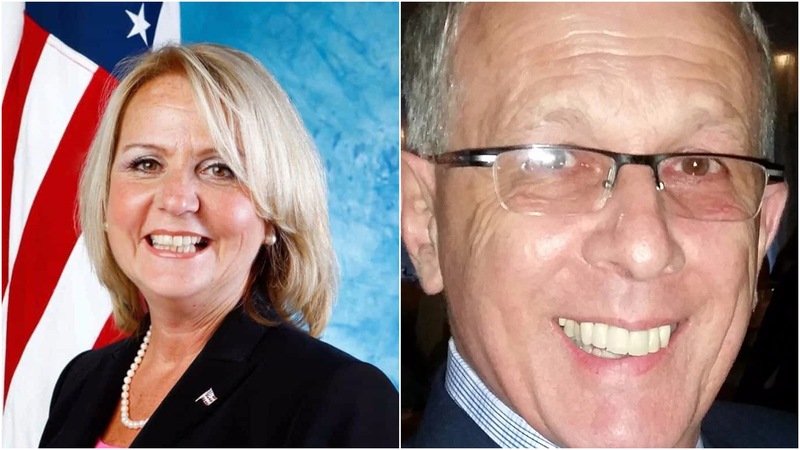 Two former Brick Township council members – John Catalano and Ruthanne Scaturro – have announced their intentions to run. Catalano has drawn the early backing of Brick GOP chairman Brian DeLuca, who said he expects all interested candidates to go before a county screening committee soon. While there may be some intra-party competition for the seat, there is one thing that all Brick Republicans seem to agree on: the seat should be occupied by a Brick resident. “With [Sen.] Andy [Ciesla] having retired and now Dave having retired, we all feel this is a Brick seat to keep,” said Catalano. DeLuca said he “definitely” believes the candidate should be from town. Indeed, the open seat has remained occupied by a Brick resident – from either party – for decades. Before Republican Wolfe won his first election, Brick Democrats John Paul Doyle and Marlene Lynch Ford held it. Before them, legendary Brick mayor and coach Warren Wolf served a term. DeLuca said he would put “all my resources” behind Catalano’s candidacy. Scaturro was supported by Brick Republicans when Holzapfel moved from the Assembly to the Senate after Ciesla retired, however the county Republican organization chose McGuckin, then a Toms River councilman, instead. DeLuca said party chairman George Gilmore “thinks it’s a good idea” for Brick to be represented in the Assembly, though ultimately the candidate who receives the party’s support will be chosen after a vote following a screening committee meeting that will likely be held in March. Catalano said he would focus on repairing the state’s school funding formula – which led to a $22 million cut in Brick’s school funding under the Democrat-led legislature this year – and reducing property taxes. He also said he would bring his experience owning a local business to the chamber. Catalano owns Country Store Jewelers in town and owned the larger Country Store eatery and general store before that. Thus far, Scaturro has emerged as the only other candidate interested in the seat, however the district also covers Toms River, Manchester, Seaside Heights, Lavallette, Mantoloking, Bay Head and Island Heights. Manchester, which is growing in population, is the third-largest town in the district behind Brick and Toms River, and Ocean County has a history of elevating Seaside Heights officials to higher offices. There was no word from anyone in those towns, or others, as to whether any officials would throw their hat into the ring. “I feel that as a lifelong resident of this area, along with my community, business and political involvement, I can continue the legacy of good government for the people of the 10th Legislative District,” said Scaturro, praising Wolfe’s years of service. Scaturro was an executive at Ferguson Enterprises and served on the Brick council for eight years. “I would feel honored to be the next Assembly person,” she said. As for the Democratic side, Brick Mayor John Ducey said the party’s choice for a candidate will be left up to the county organization. Ocean County Democratic Chairman Wyatt Earp did not respond to a request for comment. There have been no truly competitive races for the seat in decades. The Democratic candidates who garnered the most votes in legislative elections dating back to the 1990s were Timothy E. Ryan, a well-known local figure who owns funeral homes in Toms River, Seaside Park and Lavallette, and former Ocean County Freeholder and Toms River mayor Paul C. Brush.